I am so happy Lorna had time to drop by today for a little interview!! 1. You have two books out today, the new hardcover, Not the Killing Type and the paperback of Murder on the Half Shelf, so you are doing double duty promoting both. Tricia is wonderful character, where do you get your inspiration for her adventures? I have no idea. They just come to me. This is rather odd promoting two books at once. I’m told coming out in hardcover is an honor and shows the publisher has faith in you, but my readers haven’t quite seen it that way. Hardcovers are expensive. So for many people it’s TWO years since they read Tricia’s adventures. I’m happy that many will finally have the opportunity to read Murder on the Half Shelf. And I’m happy that the ebook price for that book will also drop to a more reasonable level. (I still think $7.99 is too a high a price to pay for an ebook, but I have no say over the pricing of these things.) I’ve introduced a few new characters to the series that I hope my readers will enjoy. 2. Is the fictional Booktown based on a real place? The town was inspired by the real Hay on Wey, but since I’ve never been there … have no idea if it resembles it in any way. (And probably not a bit.) But the idea of a village with a lot of used bookstores was the germ of the idea for the series. 3. You write a couple of different pseudonyms, is this your choice or the publishers? Is it difficult to keep characters and settings straight? It sure wasn’t my idea. In the beginning, you do what you’re told. My 3rd agent suggested I write under the name L.L. Bartlett. My publisher asked me to write under a pseudonym, and I chose Lorna Barrett hoping one day to have other books with my real name shelved nearby. Yay! It happened! 4. What authors do you enjoy? 5. What are reading for fun right now? 6. If money was no object and you could escape to anywhere in the world to write where would you go and what do you think the book would be about? I’ve been on three cruises in the last two years and spent most of my time writing. Getting away from the Internet is great for productivity. (Sadly, I don’t have that kind of discipline at home.) On the last two cruises, I wrote the first two books in the Tales of Telenia (fantasy) series: THRESHOLD and JOURNEY. I need to plan a vacation for this winter so that I can write the next book in the series, TRECHERY. That will be fun to write. I must admit I’m a bit disappointed that more of my readers haven’t yet found these stories. I can understand if they aren’t huge fantasy fans, but I like to think of them as fantasy lite, and not bound by the rules of traditional fantasy. (Mostly because I really don’t KNOW the rules of traditional fantasy.) All I know is that my character, astronaut Amanda Shelton, showed up one day and demanded I tell her story. I sure had a lot of fun doing it, and so far those you have tried them have found that she’s a character they can relate to. There’s a little fantasy, a little SF, a little romance, and a lot of adventure in the stories. November in Stoneham means a Chamber of Commerce election. The members have gathered at the Brookview Inn to cast their votes. This year is different because Bob Kelly actually has opposition. Both Tricia’s sister, Angelica and local small business owner Stan Berry are running against the long time president. But before the election can even take place the ballot shrinks to just two contenders. During a short break Tricia finds Stan Berry dead just down the hall from the meeting room. The murder weapon is a letter opener belonging to the hotel’s receptionist. Tricia can’t believe that sweet woman could kill anyone. Murder on the Half Shelf really left us hanging with Tricia’s ex back in town. This story didn’t pick up exactly where that one left off but Christopher is sure bringing a bit of strife to Tricia’s life. Also complicating her life is a new man in town and her on and off relationship with Police Chief Baker. Hard to keep this relationship going with Tricia so close to all these investigations. Add to this her friend Ginny’s wedding with a planner I wouldn’t wish on my worst enemy, the Chamber election, the holidays with Pixie’s decorating ideas and another murder this story becomes one you just can’t put down. Lorna Barrett has given us one of her best with this installment. I love this series and each one is better than the last and the first one was excellent. If this series is new to you start at the beginning and enjoy every one. Fans of this series will fall for the residents of Stoneham, New Hampshire all over again. 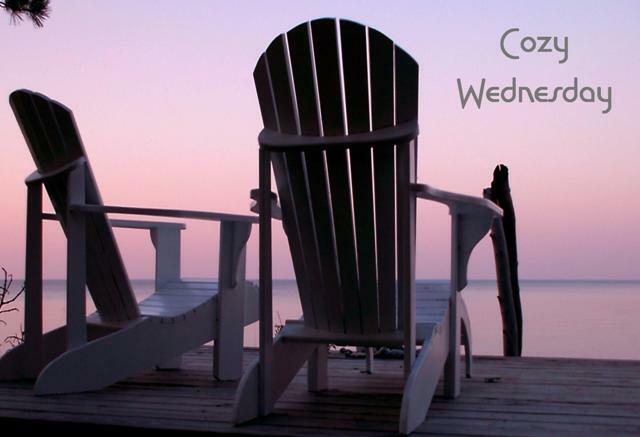 Leave a comment for Lorna for 5 Bonus Entries ! A wonderful interview. Tricia sounds like a marvelous heroine. I really must become acquainted with her adventures. And since I enjoy sci-fi and fantasy, I’ll have to explore Telenia also. I love the Booktown series. Can’t wait to read the next one. This is one of my fav series ! Thanks for the giveaway! I have loved every single one of your books. Keep writing and I will keep reading!!! I met the author through the Jeff Resnick series and must look into the others. 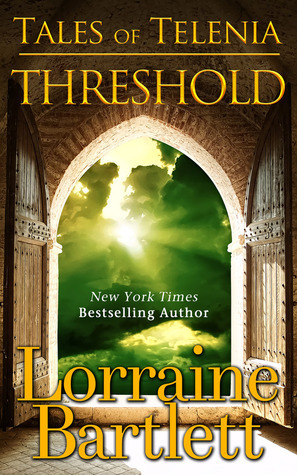 I will look for Threshold today! Looking forward to reading these!!! I have wanted to start this series for a long time now, hopefully since my TBR pile is shrinking, I can start it. Thanks for the interview and review. I have loved the Booktown series and can’t wait to read the newest one! Sounds great, I can’t wait to read this series. I need to find the first book in the series and get started! Thanks for the interview and review! Great series, as are all, no matter what name the author uses. Fun writer! Enjoyable reading! Congrats on what looks like a great series! I’ve heard a lot of good stuff about this series and can’t wait to read one. Thanks for sharing with us. Love the boomtown series. Can’t wait to read the newest one. Keep up the great writing. Love the books. Can’t wait to read more. I’m a very big fan of Larna’s books in all their incarnations. 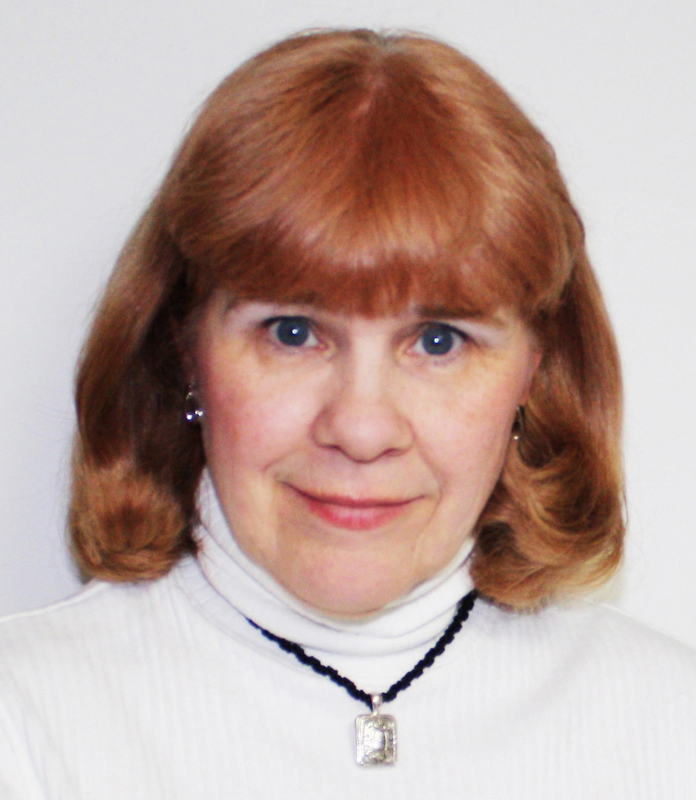 Congrats to her on the release of the newest titles and her sci fi series. I’d love to be one of the lucky winners of this giveaway and add it to my home library. I love the Booktown series and am SO looking forward to BOTH of these books! Great interview and review. Love, love, love the Booktown series and glad to see that it’s still going strong! Love the Booktown series. Special and unique. I also love the Booktown series. It’s one of my favorites! Thanks for the giveaway! You must be an excellent writer to have a book come out in hardcover. Hardcover books are almost extinct. I can’t wait to pick it up. Lorna: I love your books. I would love to visit Stoneham. I often dream of winning the lottery and creating a real live Booktown. I would love living there. I love the Booktown mystery series – so glad to see it in hardback cover – so much more enduring than a paerback – esp. if re-read as mine are! Thanks for the opportunity to win a free copy of Not the Killing Type. I do look forward to reading it. I’m looking forward to another visit to Booktown! Would love to win this book! Thank you for the opportunity to enter the giveaway! This is one of my absolute favorite cozy series. I love the relationship between Tricia and her sister, as well as the bookstore’s employees. Thanks for the giveaway….can’t wait to read this newest edition. Sounds really good. Need to add to my reading. I do have to agree — hardback books are usually too expensive for me to buy; I can get 2 or more desired paperbacks for the money. However, if I can get the hardback at the library — YEA!!! I am anxious to begin reading this series, as I’d not come across it before. But a village full of bookstores? even used bookstores — I’d need way too much money to actually live there. 🙂 BUT I can read about it, and dream about it, can’t I.
I love author interviews! I agree with you I think more people eill buy psperbacks, they are less expensive and easier to toss in a purse. I am more likely to try a new author if it is a paperback. Otherwise I would try yo get it at the library. I haven’t read this series yet, but it looks like I have another author to add to my list. What a great post! 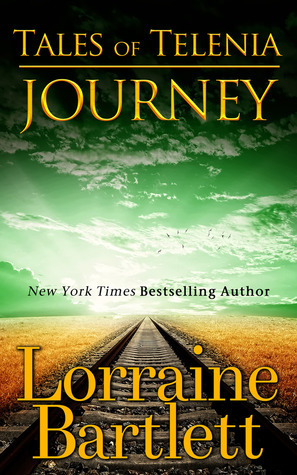 Congrats to Lorna on the new release! I enjoy the Booktown mysteries and would love to win! Thanks! This sounds like a wonderful story. I look forward to reading it. Great contest, thank you for offering these books. I’m new to this author, and I’m looking forward to getting started on reading her books. Thanks for hosting this on your blog for me to discover! I am one of the people who have downloaded the two fantasy books. I have not had time to read them. I bought a paperback of half shelf forgetting that I had a hard back copy. Guess I am a dedicated fan. Thanks somuch for the Giveaway! A getaway cruise to write sounds like a perfect blend of business and pleasure! The Booktown series has been on my to-read list for ages. A town full of bookstores? Sounds like my idea of heaven! It’s time I got off my duff and started in on these books! Congratulations on the publication of your two new books! I have put them on my TBR list and look forward to reading them. Thanks for sharing the great interview. It is always interesting to learn about an author. This is a fun series and I thank you for the chance to win. I just love this series! Can’t wait to read the newest book. Great series, thank you for the chance to win this book. I wish agents would let their authors write everything under one name–I find aa good author and I want to read everything written by them. The Booktown series is great so I must read this one for sure. Hi…I really like your site but I don’t have a lot of time so I don’t do following. I would appreciate being able to enter your book giveaways even though I don’t follow or twitter or blog, etc. Thanks for the great books you offer. This sounds like a nice book to pick up and check out. Absolutely love this series! Definitely a must read for me! Thanks for the giveaway chance. Do you know what I wish? I wish there really is a town like Book Town minus the murders. 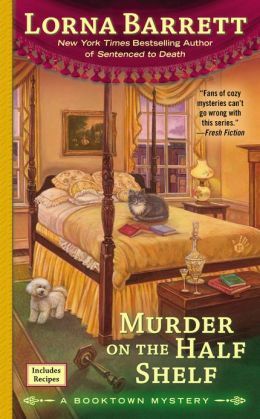 Ms. Barrett has another success with her newest in the series, Murder on the HalfShelf. The twists keep the reader interested and turning each page waiting and wondering just what will happen next.This novel has it all – romance, murder and mystery. 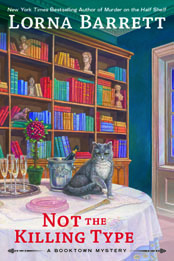 A wonderful cozy mystery waiting to be taken off the halfshelf!